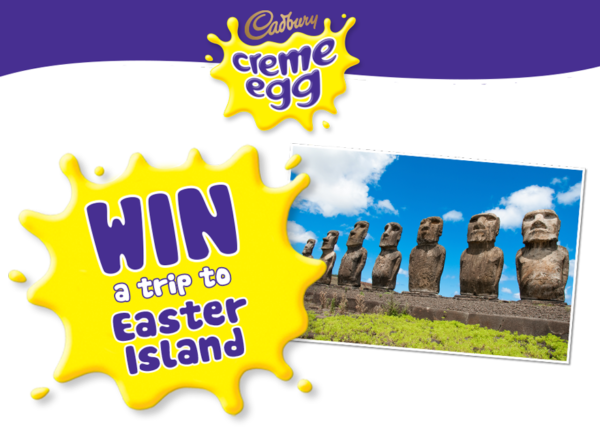 Help create a once-in-a-lifetime Easter promotion through which people would have the chance to win an incredible trip to Easter Island, complete with amazing activities. We arranged for winners to fly to Santiago, Chile, and spend three nights in luxury accommodation during which they would enjoy a full-day mountain and glacier tour, including a 4×4 ride and trip to visit amazing hot springs. They then flew on to Easter Island for a further three nights, where they had an action-packed itinerary of trips to caves, lagoons, volcanic craters, cultural sites, temples and beaches. On top of that, we arranged for the winners to receive some spending money to enjoy on their trip. Looking for a once-in-a-lifetime travel incentive for your next brand prize promotion? We’re the experts and we’re on hand to help, get in touch via our enquiry form or give us a call on +44 (0)20 8871 9959 today!